In August 1969, my high school Russian class was given an amazing once in a lifetime opportunity to take an all expenses paid trip to Russia. I often reflect back on that trip and how blessed we were, as young African Americans, to have such a unique experience. 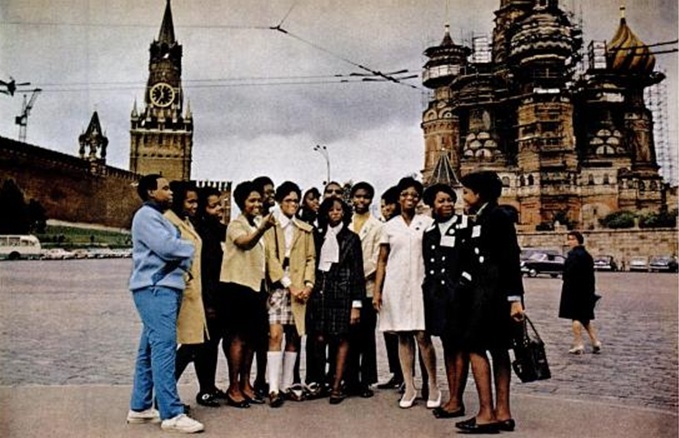 We were accompanied by a photographer from Ebony magazine, and the trip was featured in the magazine’s November 1969 issue in an article titled To Russia – With Understanding. We were also followed by cameras from the television news show 60 Minutes and featured in a segment on the show – Booker T. Washington High School Goes to Russia. We were interviewed by a local television station here in Atlanta, and there was an article in the newspaper. Yes, it was our “15 minutes of fame”. 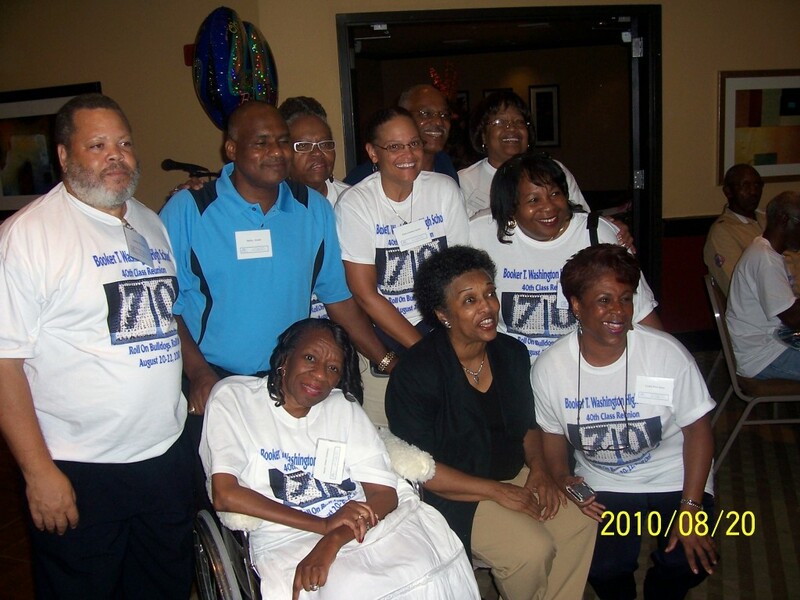 At our 40th high school class reunion this past August, we were reunited with classmates from our trip. This reunion was made even more special by a visit from our Russian teacher, Ms. Billie (Davis) Gaines. Many of us had not seen Ms. Gaines since high school. There were hugs and laughter, and yes, a few tears. It was truly a joyous occasion. There was much to share and reminisce about. It was an evening we will probably never forget. It was a night for – Memories of Russia – Then & Now. Bottom photo: From the personal collection of the owner of this blog. 12 February 2010: Follow Friday: Welcome To Our New Home! Welcome to the new home of I Never Knew My Father. I hope you like the new look. Things were quiet for a few weeks during our “facelift”, but now we’re back with more reflections, research challenges, and ancestor stories. A couple of posts you may have missed during the transition are a birthday shout-out to my brother Bernard on February 8th and the February 10th Wordless Wednesday tribute to Harriet Tubman. If you’re a new follower to I Never Knew My Father, you also may have missed my post A Friend of Friends: Lessons From The Underground Railroad. This post is very dear to my heart, and is a message that cannot be repeated too often. I welcome your comments. Again, thanks for following I Never Knew My Father. I appreciate your support. I am struggling trying to write something to post here on my blog. After only a few months since the debut of my blog, I have Blogger’s Block. I am in a writer’s rut; I am experiencing brain freeze. It is not for a lack of research problems that’s for sure. My research is surrounded by brick walls with no signs of a breakthrough. Every corner I turn is a dead end. As a blogger, I am lost in a sea of bloggers who always seem to have something to say and write about. I am inspired by their words, but can find no inspiration of my own. I am a writer with no words; an editor with nothing to edit. I am a perfectionist with nothing to perfect. I am a blogger with nothing to blog. I have Blogger’s Block. Yesterday I read, The Value of Networking with your Peers, the discussion started by Angela Walton-Raji in African Ancestored Genealogy on Genealogy Wise. Angela urged us to network, to find mentors among ourselves, and challenged us to become experts in our own area of research. I am inspired and motivated by her words. Over at Our Georgia Roots, my friend Luckie Daniels’ latest post, So Thankful…, was both moving and inspirational. I am thankful to call Luckie a friend; I am always encouraged by her words and research knowledge. Felicia at My Nola Heritage is hot on the trail of something big, and I am anxiously awaiting her news. Felicia has been relentless in her search for the slave owner of her Georgia ancestors. I am inspired by her tenacity. Michael Hait has taken on the challenge of putting up at least one post a day during the month of November. Michael’s African American Genealogical Examiner articles are always well-written and informative; his tips inspire me to become a better researcher and to view sources with a more informed and analytical eye. Renate of Into The Light (formerly Just Thinking), another new kid on the blog scene, is moving to another level in her research and blogging, and thus, was inspired to give her blog a new name. All of them and many others inspire and motivate me with their words and their dedication to genealogy. I read, I learn, I absorb, and I am INSPIRED. I know this is not a permanent state – This Too Shall Pass. My research continues- the brick walls will fall, the ideas will form, and the words will return. In the meantime, I am still here and loving every minute of the journey. I will not be defeated by Blogger’s Block. My mother, LILLIAN MIDDLEBROOKS, was born December 7, 1916, in Woodbury, Meriwether County, GA. She passed on Sunday, September 27, 2009, at age 92. It was my birthday. My mama was an incredible woman. As a child I did not want for anything. Yes, you would probably consider me “spoiled” as they say. As a child I took all of those things for granted; as an adult I realize they were the product of my mama’s love, devotion, and hard work-sometimes two jobs. Many years ago, I was involved in a car accident that left me paralyzed. In the years that followed, my mama was my primary caregiver. Her strength, determination, and encouragement gave me the strength, determination, and courage I needed to continue my education, graduate from college, and pursue a career. I am the person I am today because of my mama. In 1991, my mama suffered a stroke, and our roles reversed; I was now responsible for ensuring that both of us had the care we needed to continue to live our lives in our home with minimal disruption. In dealing with the various local and state agencies I realized that now I was considered the primary caregiver for my mama. I refused to put my mama in a nursing facility, as many suggested over the years. It was not even a consideration, just as she had not considered putting me in a facility after my accident. My mama was a proud lady, and continued to do most things for herself. Despite the stroke, she was still an independent and strong woman determined not to let being confined to a wheelchair confine her spirit. I believe I possess those same qualities. In early September 2009 my mama was hospitalized. Her health had been rapidly declining over the past few months and her dementia was also getting worse. When it was time for her to leave the hospital the doctors recommended a nursing facility and hospice care. My mama was leaving me and I could see it. She stopped eating, was barely taking any liquids, and almost never opened her eyes. Over the last two weeks, I do not think she knew I was there, or maybe she did. I pray she did. Early on Sunday, September 27, 2009, I got the call that we should plan to come as soon as possible-things were not looking good- my mama was beginning her transition. It was my birthday. My brother Bernard by my side we sat there with my mama-waiting, crying, praying. Bernard has been and continues to be my rock and my comforter. God knew that I would need someone, and placed him in my life so that he would be here when I needed him most. 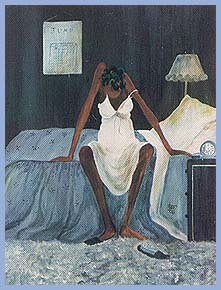 Sitting there at her bedside, I had a nagging feeling that my mama needed to hear something before she could leave this world behind and claim the peace she deserved-she needed to know that her baby girl was going to be okay….and so we told her that I was fine; Bernard told her that he would take good care of me and not to worry. I told her that I was fine and that I loved her…she closed her eyes and was gone. Gone from this world, but not from my heart. My mama was an incredible woman…. 12 September 2009: Where’s YOUR Family “STUFF”? Once again I am inspired by my genea-friend Luckie Daniels and her recent post on Our Georgia Roots – What Is YOUR Family Story? Learn-Document-SHARE! Luckie challenged all of us to become better preservers of OUR family history. I believe that preservation has to start with us. WE must become better keepers of OUR family “STUFF”. I cannot tell you how many times I’ve asked family members for information (stories, pictures, documents..anything) only to be told…girl, I don’t have any “stuff”, or honey I just don’t remember any of that old “stuff”, or (my favorite) child, I don’t know what happened to all that old “stuff”. I’m sure you’ve heard similar responses to your requests for family information. Well, that “stuff” was/is your family history. We can’t get angry with anyone but OURSELVES if WE don’t start taking better care of OUR “stuff”. I remember calling my Auntie Ruth one day and asking what she was doing. She said “just throwing away some old stuff.” This is my aunt on my paternal side, my father’s sister, so of course I was very curious about this “stuff”. “What kind of stuff” I asked. She replied “oh just some old pictures and things.” “NO” I screamed. After some back and forth, I convinced her to dig the pieces of “stuff” out of the trash and save it all for me. A few days later, I received an envelope in the mail. Inside that envelope was some very precious family “stuff” torn into pieces. I was able to piece together and save a picture of my grandmother, and a photo of my father and his brother taken about 1925 when they were little boys. There were also a few pictures of my Auntie Ruth in her younger days. A special piece of “stuff” was my aunt’s high school diploma-torn in half. My aunt had told me the story of how when she was in high school she gave herself a middle name because everyone had one except her. So now I have the high school diploma for Ruth “Louise” Taliaferro. I am so happy that I made that call at that time and saved some of my family “STUFF”. For the majority of African Americans our ancestors’ stories were never told, recorded or preserved. It is an awful and frustrating reality. However, it will be even more awful if we do not stop the cycle of indifference and disinterest in our own family history. Let’s all do a better job of telling our ancestors’ stories-of keeping and preserving our family history. Let’s all do a better job of preserving, recording, documenting, and sharing our “STUFF” for our ancestors, ourselves, and more importantly, for our future. So, my question to you… Where’s YOUR Family “STUFF”?